1 xYN-560TX Canon. Supports RF-603 /RF-603 II Wireless Shutter Release. 1 x Protecting case ( Black ) with Wrapped Air Bubble Sheet. Large Clear LCD Screen. 16 Channells. Can YN560-TX trigger studio flashes?. The YongNuo YN-565EX is a TTL flash with guide number GN58 @ ISO100 that measures light while exposure, thus giving you excellent quality photographs. This YongNuo flash works with both auto as well as manual zoom, making it highly versatile. The rear-curtain sync feature of this Canon flash allows you to freeze motion at the end of exposure. Supporting cameras with 24-105mm focal length, the YongNuo YN-565EX allows you to shoot landscape photographs easily. The FE lock feature of this Canon flash ensures you have appropriate subject exposure, even while reframing. 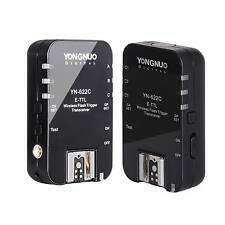 This YongNuo flash is protected from overheating, which makes it last longer. This post is from limited use of about 300 shots. The bokeh is pretty good. In certain lightning, there is a haze that I cannot explain. Often, on my d610, I will get the errors as follows: fEE, f0. This happens randomly and may cause distribution in your workflow. With a quick readjustment of the lens, turning it to take it off and then putting it back on, this problem temporarily resolves. Images are crisp. It would be awesome if dxomark did a review on the lens soon to compare with other lenses. For the price, I can handle the above issues as my images still turn out pretty nice. It could also just be my copy that has the connection issues. Surprisingly, a good ETTL flash for being a good copy of a Canon 580. Its almost a perfect flash, more if you see its price. This flash is excelent, It respond very well in all their modes, the only problem i fonund, is when using ni-mh batteries, when whe batteries are almost dead, the flash start doing wrong things, like fire randomly and making strange noises with the zoom head, it should just turn off or inform about low batteries, but everything els is great. On full power the power distribution in time is far away from constant, but in 1/4 and less is perfect. 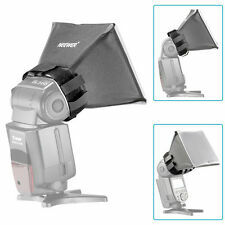 I bought this product to use in social photography, bouncing flash in ttl mode, it were great for small and large rooms. I didnt have any problem in slave mode neither. This is an excellent flash for the price. I'm an amateur photographer and this was my first external flash; I didn't want to break the bank with a Canon flash and tried the Yongno. Overall I was pleasantly surprised with the performance and results using this flash. The E-TTL worked as expected on my old Canon Rebel XS DSLR with a variety of lenses. Pivoting of the flash head works well for bouncing off walls and ceilings. The flash recycles quick enough for me with good quality batteries. I would recommend this flash for the amateur photographer who wants to control their flash without breaking the bank with a canon flash. It is excellent performance for the price!